Durable and accurate flow measurement for high-pressure and extreme temperature applications. Durable and accurate flow meters for fluid measurement in high-pressure and extreme temperature applications. 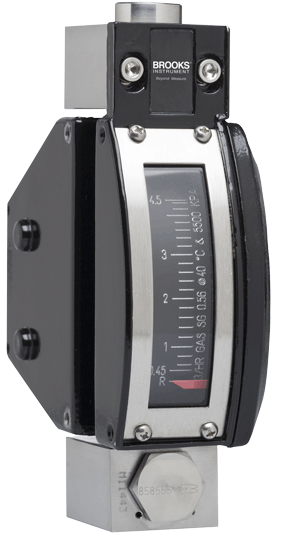 Armored to deliver repeatable, reliable flow measurement in demanding high-pressure, high-temperature applications, metal tube variable area flow meters from Brooks Instrument set the global standard for rugged durability and sustained accuracy. Globally approved for use in hazardous environments, metal tube rotameter (variable area flow meter) manufacturer Brooks offers a range of metal tube rotameters that include corrosion-resistant options for metering aggressive fluids and multiple connection options to make it easier to interface our meter into existing industrial systems. 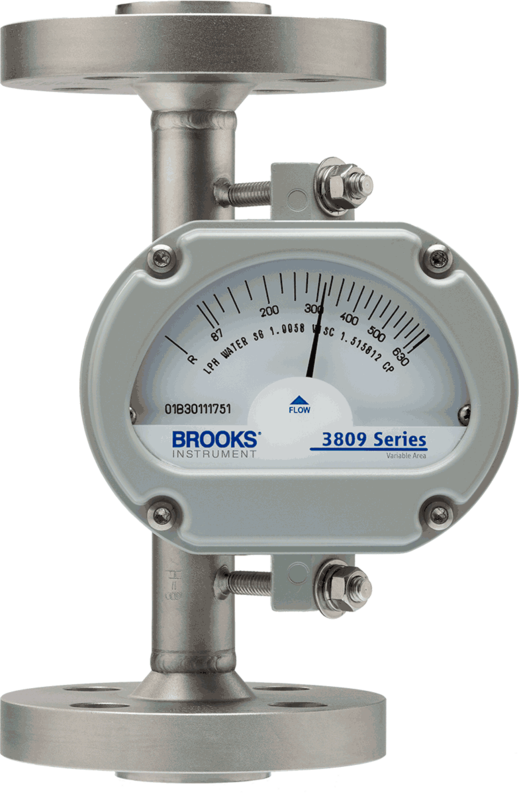 Engineered for long-lasting performance, Brooks high-pressure water or gas flow meters deliver excellent meter repeatability to help accurately measure and precisely control complex industrial processes. Select the metal tube variable area flow meter that best meets your project requirements.